The road to success is paved with challenges, which means you’ll likely need to have one or two difficult conversations. 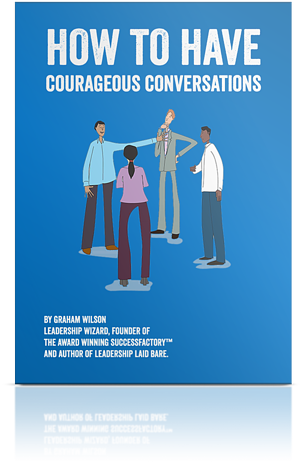 In our free guide, we explore how to conduct these conversations courageously so they benefit you and your team. Every leader experiences times where they need to give challenging feedback, build awareness of change, educate, or address a tricky topic. Our free guide leads you through this process to ensure these conversations are positive for all. Fill in the form to download your free guide today. Learn how to plan, prepare and conduct discussions that challenge convention within your team and inspire great results, all within six simple stages. Ensure you never enter a meeting frustrated, with our tips on how to develop a cool, calm, head allowing you to plan and prepare. 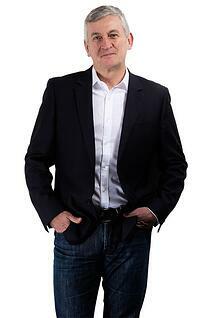 Identify the tools and techniques you need to compel action following a courageous conversation, and how to manage people’s fight or flight response. As every superhero knows, ‘with great power comes great responsibility’. If you want to be a great leader, this is a mantra you need to buy into, and that means stepping up when it comes to having difficult conversations. At times, you’ll need to challenge members of your team with less than ideal feedback, changes in office culture, and interpersonal disputes. When dealing with these tricky topics, you owe it to your team to handle them with care and precision, meaning you’ll need a calm head and solid plan. Our guide, How to Have Courageous Conversations, takes you through the six stages to conducting courageous conversations and making sure they have positive outcomes. Download now to start having courageous conversations.